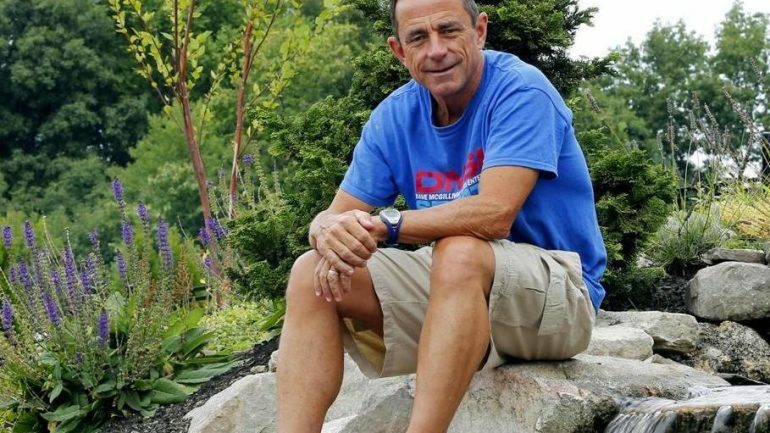 Carrie interviews Boston Marathon Race Director, Dave McGillivray! Dave discusses running his first Boston Marathon, the depth of the 2018 elite field, running the World Marathon Challenge and much more. Dave McGillivray, Race Director of the B.A.A. Boston Marathon, the B.A.A. Half Marathon, the B.A.A. 5K and the B.A.A. 10K, manages and oversees all operational and logistical aspects of these world-class events. He also directed the 2008 U.S. Olympic Team Trials – Women’s Marathon in Boston. In 1996, Dave established himself as one of the world’s premier race directors with his successful coordination of the 100th Boston Marathon, which attracted a field size of nearly 40,000 participants, the largest in B.A.A. history. Dave is President of Dave McGillivray Sports Enterprises (DMSE), Inc., an event management company which creates, markets, and produces mass-participatory athletic events throughout the U.S. DMSE directed the U.S. Olympic Team Trials – Women’s Marathon in 2004, the 1990 ITU Triathlon World Championship, and consulted on the 1996 Atlanta Olympic Games. DMSE also directs the TD Beach to Beacon 10K, the New Balance Falmouth Road Race, and the Boston Marathon Jimmy Fund Walk, as well as numerous other world-class events. Athletically, Dave first gained national prominence in 1978 when he ran across the U.S. to raise money for the Jimmy Fund. In 2004, he ran cross-country again as part of a relay team event called TREK USA, which he founded. Dave has run 144 marathons including 43 consecutive Boston Marathons, completed 9 Hawaii Ironman Triathlons, run up the East Coast of the U.S., run for 24 hours, biked for 24 hours, and swam for 24 hours – all to raise money for numerous worthwhile causes. In 2003, the DMSE Children’s Fitness Foundation was established with a focus on funding nonprofit organizations that use running as a vehicle to promote physical fitness in children. In 2005, Dave was inducted into Running USA’s Hall of Champions. Among other recognitions he has received are Competitor magazine’s Lifetime Achievement Award for more than 30 years of service to the sport of road racing and triathlons. In 2000, he was named Race Director of the Year by the running industry’s Road Race Management, Inc., and in 2007 Runner’s World named him one of their Heroes of Running. In 2011, he was inducted into the USA Triathlon Hall of Fame, and a year ago he was awarded the Road Race Management Lifetime Achievement Award. Dave resides in North Andover, Massachusetts, with wife Katie. He has five children: Ryan, Max, Elle, Luke, and Chloe.